Along Bear Lake Road in Rocky Mountain National Park, there is a group of aspen trees that puts on a terrific display of autumn color each year. 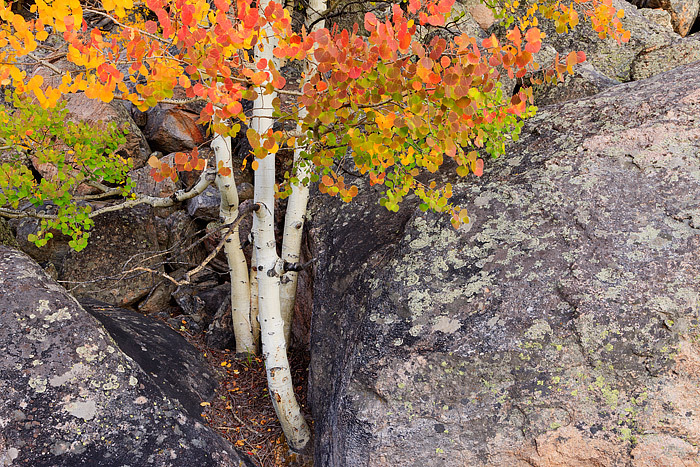 Tucked in amongst a group of boulders on a small talus field, these particular aspens turn yellow, gold and red. They make for an interesting subject and the boulder field the thrive in does as well. Photo © copyright by Thomas Mangan.